For day 6, we are bringing in Blaze! 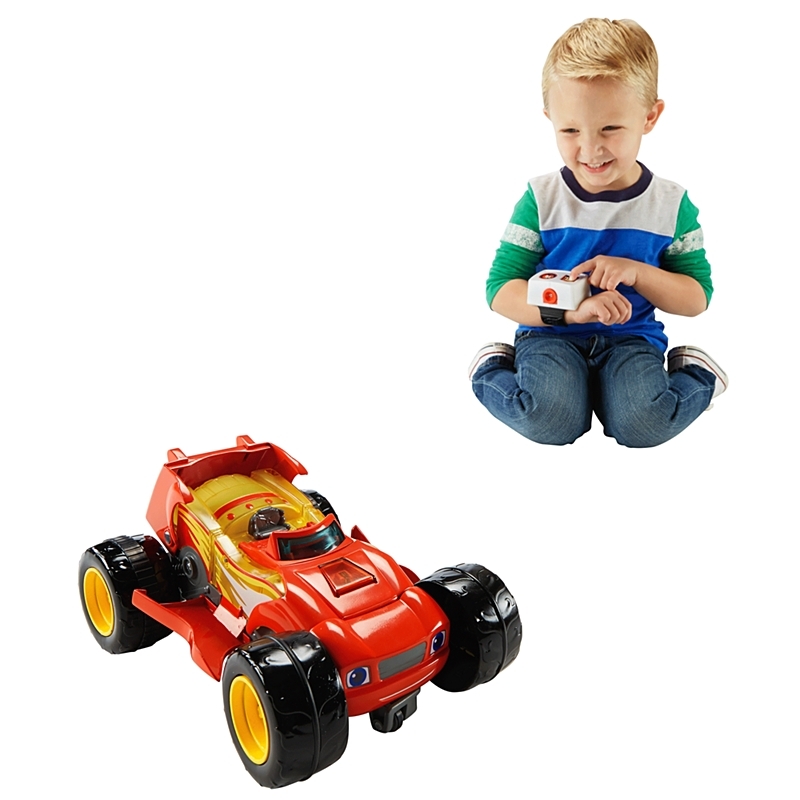 Blaze and his Monster Machine pals not only feature tons of monster truck action, but also introduce STEM components (Science, Technology, Engineering, and Math) that allow our children to explore how things move and how they work. 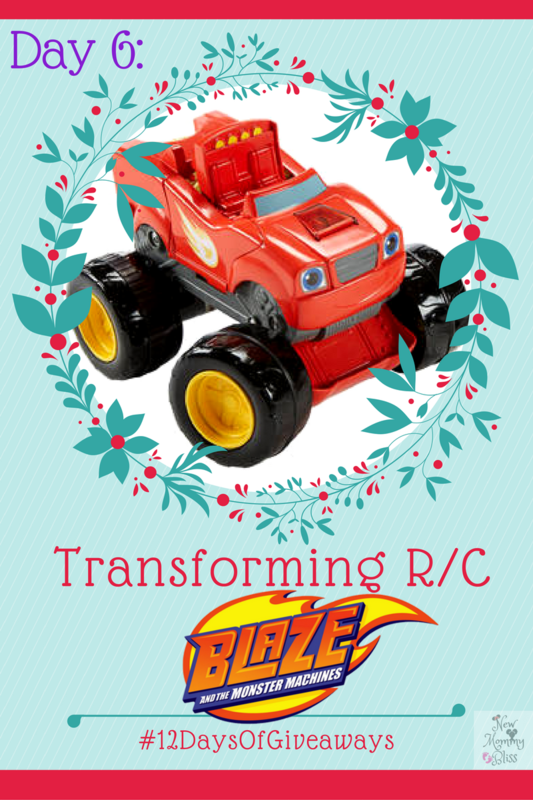 In honor of such, we are giving away a Transforming R/C Blaze! Transforming R/C Blaze is a remote-controlled vehicle with lights and sounds that you can transform from a monster truck to a race car with the push of a button. Blaze needs to win the big race in Velocityville and he needs your help. With this toy, kids will get to explore the concept of velocity - how fast something is going in a certain direction. 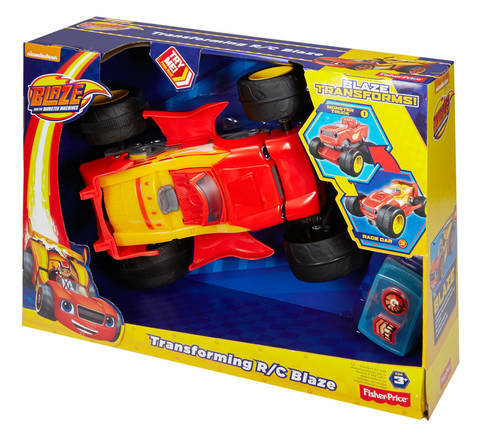 When Blaze transforms into a race car, he can increase his velocity, no matter what direction he's headed. Use the RC wrist controller to make Blaze drive forward and turn in reverse. Hold down the reverse button to make Blaze transform into speedy race car mode. The controller can be worn on the wrist, just like AJ’s wrist computer on the show, or it can be held with two hands. Blaze also has cool phrases and sound effects for each mode. Every adventure provides children with an opportunity to discover the unseen forces that play a part in their world. Are you ready to go from monster truck to race car and get ready for some serious Blazing Speed? There is all kinds of awesome science and math my sons LOVE Blaze! Thank you so much for the chance to win for them! My favorite aspect of STEM and what my grandsons are learning from Blaze is the Science aspect. They learn about velocity and things like that. It's so educational and fun to watch! My favorite stem is Engineering and Technology learning to drive it with the controller! I love how it teaches the child how things move with the use of the wrist remote controller. I like that kids can learn about velocity in the race car mode. Engineering is my favorite aspect of STEM that is used. I'm really glad that little girls have access to STEM toys, it's empowering and educational in so many ways. Science is a great aspect of this toy! Also, I love that you can attach the controller to the child! I like that the toy helps to introduce technology to kids! i like that they are learning that with every action there is an equal and opposite reaction. I like that kids can learn and how the controller can be on the child's wrist to help keep them from losing it. My favorite aspect of STEM concepts are acceleration & trajectory. It's all happening while my girl is having watching her favorite cartoon. It is wonderful that they now have a toy using which kids can experiment whatever they have learnt from watching the cartoon! Lets blaze!!! I like the different lessons on types of tools/how things are built. Science is my favorite aspect of STEM. Thanks so much for the chance! I love that he can learn about what velocity is from using this! I love that they can play and learn at the same time. Engineering and science are the best aspects of STEM toys! I'm glad that blaze is for both girls and boys, and there's a girl monster machine! It's a Holiday Soiree with Momtrends & Friends!